High-capacity towel roll delivers more towels in same space, less time. 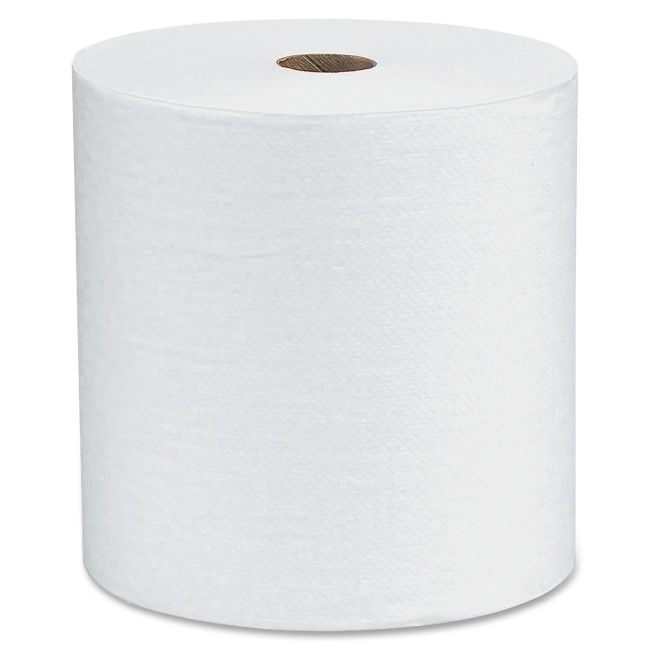 Soft and absorbent towels meet EPA standards with post-consumer content and are made with elemental chlorine-free (ECF) bleaching. Absorbency pockets absorb more water faster for superior hand drying. Core is 1-1/2" in diameter. Roll diameter is 7-7/8". Towel rolls are designed for use with Kimberly-Clark D-2 Hard Roll Towel Dispenser, In-Sight Push Roll Towel Dispenser, Lev-R-Matic Roll Towel Dispenser, In-Sight Omni Roll Towel Dispenser and In-Sight Capacitor Roll Towel Dispenser.